Compact powder aka pressed powders has two key functions - to set your foundation and to minimize shine due to oily skin. All compacts contain waxes and silicones and provide more coverage as compared to loose powders. If you want to skip the liquid foundation and concealer and just stick to the compact, you could do that too. 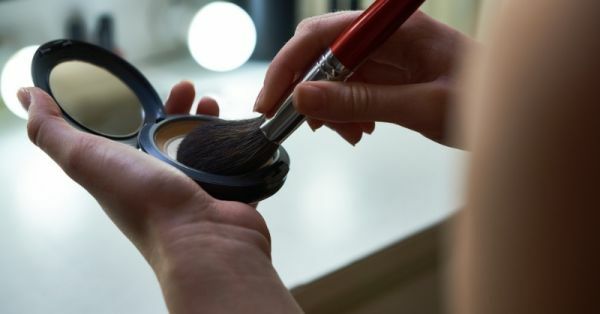 This can be done on one condition though - make sure that before you use your compact powder, your skin is hydrated and smooth to avoid any cakiness. If you use it after a foundation, then it’s important to learn how to layer it perfectly. Step 1: Wash your face to remove all the makeup residue, dirt and bacteria on the skin. Step 2: Apply a face primer. Step 3: Do your foundation and if you spot any blemishes still visible on your skin then use a concealer. 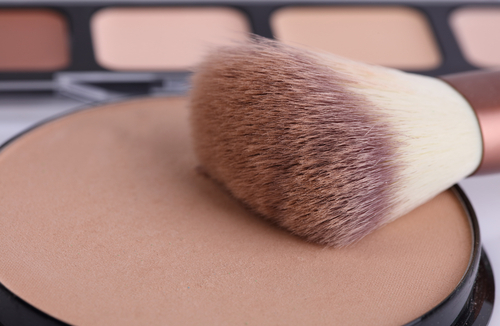 Step 4: Use a fluffy brush to apply the compact starting from the centre of the face to the neck area. Step 5: Finish the look using a setting spray. How To Select A Compact Powder Based On Your Skin Type? You can’t just buy ANY compact powder from the drugstore. You need to find one that’s closest to your skin’s natural colour. Picking up one that’s two shades lighter or darker is going to land you in a soup. When investing in a compact keep the texture, brand, coverage level and your skin tone in mind. Instead of trying the product on the back of your hand, apply it on your face. If you’re confused about how to go about it, ask the makeup artist or the sales assistant for help. Also, never buy a compact powder online without you having tried it in real life. Since colours on the screen may appear darker or lighter than the original product’s colour, it’s wiser to buy the product at the store, take note of the shade’s number and later search for it online once the product is over. Finally, for a natural finish, go for a product that offers sheer coverage. To cover any blemishes and marks, opt for a compact powder that provides medium or full coverage. When choosing a compact for oily skin, pick one that’s an oil-control matte finish powder as it helps to keep oily skin in check. Stay away from powders that provide shine because as they will make your skin appear oilier. One way to tackle oily skin is to rub your face with an ice cube. This will trick will help to tighten your pores and make your skin feel smoother. 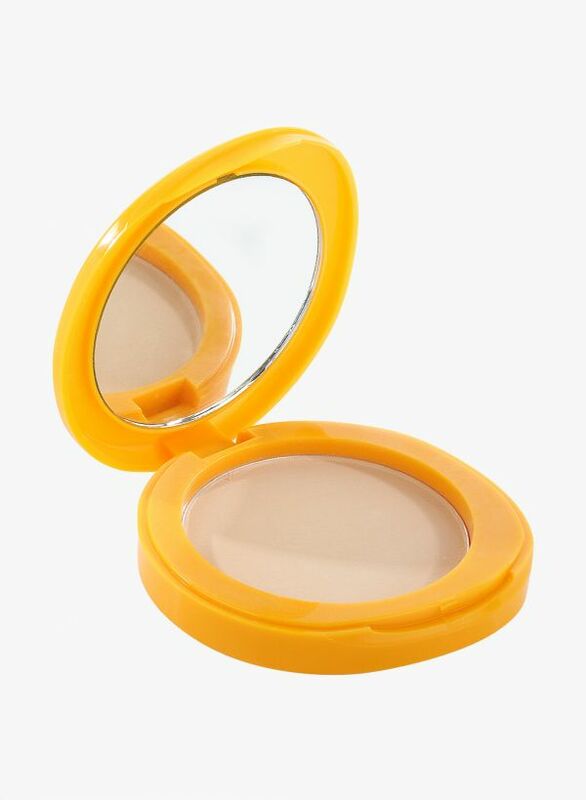 Enriched with vitamin E and SPF 15, this compact protects your skin from the rays of the sun! When applying this compact on your face, don’t forget to do so on your neck and collarbone as well. Pros: good staying power, perfect for everyday makeup, lightweight. Cons: bulky packaging, not many shades for Indian skin tones. 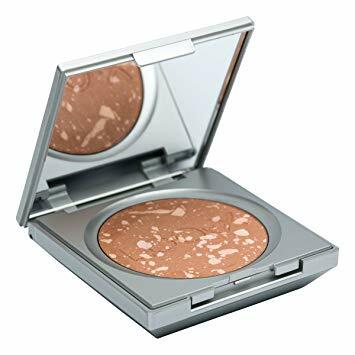 This compact feels so good on the skin and doesn’t stick to it. 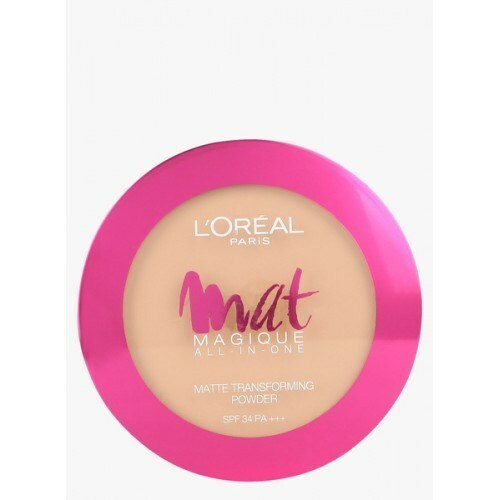 It has lovely yellow packaging and has a soft, non-greasy texture to it. Prevents sunburn, premature ageing and dark spots. Pros: contains SPF 40, decent staying power (4-5 hours), non-oily and greasy. Cons: a limited variety of shades to choose from, needs an applicator sponge upgrade. Price: Rs 189. Buy it here. This powder is one of the best for oily skin. It does not clog your pores and does not make your skin look cakey in any way. On the contrary, it absorbs oil and gives your complexion a naturally radiant finish. Pros: brilliant staying power, decent variety of shades, coverage is great. Cons: Does not come with a sponge, bulky packaging, gets messy with powder particles after each use. Price: Rs 460. Buy it here. 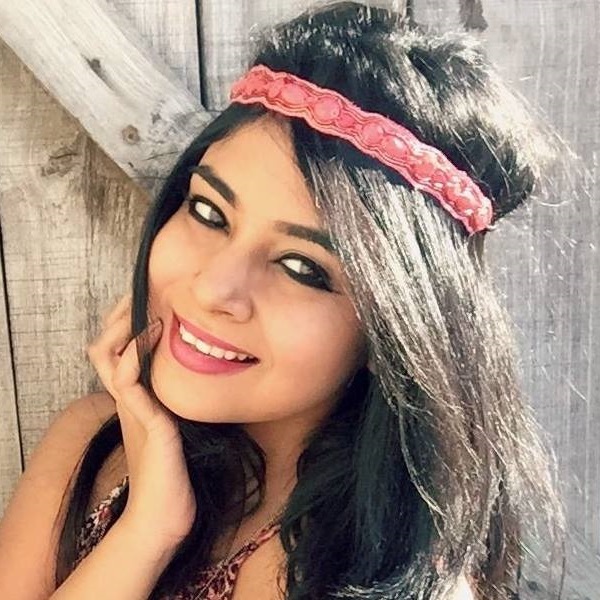 If you have dry skin, avoid going for compacts that give your complexion a matte finish. What you need in your life is either cream or mineral-based powders to give your skin a hydrated and even-toned finish. Before applying the compact, massage your skin with a good facial moisturiser. That way, your skin will start to look healthy, glowy and super hydrated. If you’re looking for a good quality mineral powder, this one is your baby! 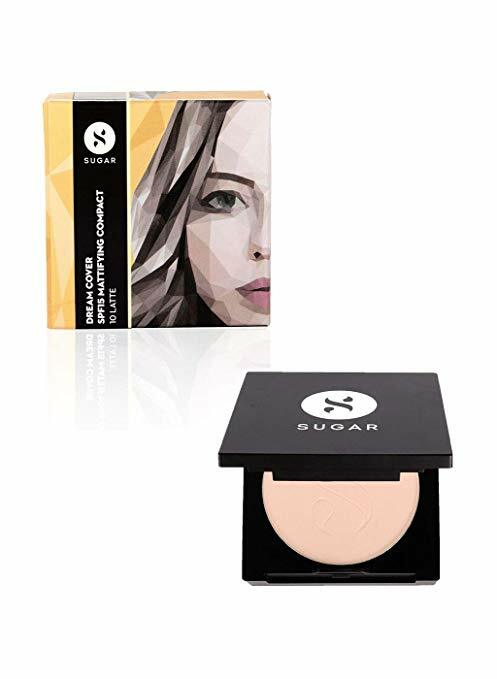 This compact powder is on of the best compact powder in india which is suitable for dry skin. Compared to other compacts mentioned on this list, the packaging is the cutest! The texture is smooth and powdery and will probably last you all day. Pros: no fragnance, controls oil, gentle on the skin. Cons: slightly expensive for the quantity. Just after applying your foundation, you can use this mineral powder to set your look. The products are infused with vitamin E and beeswax which helps to make your skin look radiant and fresh all through the day. Pros: can be used as a bronzer as well, not tested on animals, gives skin a sun-kissed finish. Cons: bulky square packaging, doesn’t come with an applicator, not budget-friendly. Price: Rs 1,400. Buy it here. The powder comes with a variety of shades to choose from. It gives a natural, sheer finish and the product can be used when it’s wet or dry. It makes a great investment product. Pros: a variety of shades to choose from, smoothens skin’s texture. Price: Rs 2,600. Buy it here. Avoid compacts that are loaded with chemicals, oils, fragrances, formulas and preservative artificial ingredients. Mineral-based compacts are your best bet. If at all you still experience itchiness and rashes, then you should take a break from using not just compact but any other makeup product. 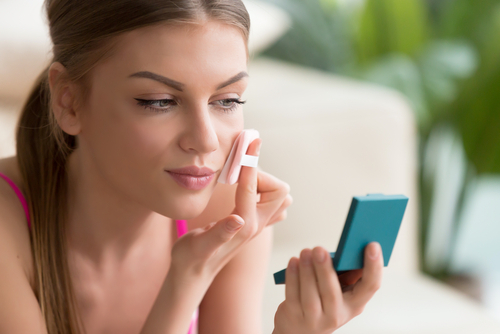 Always keep your dermatologist in the loop before purchasing a new product as they would know what product would suit your skin type the best. Be open to hearing their product recommendations and trust them with their opinions. For a fresh and matte finish, you’ve got to bring home this adorable pressed powder! It comes in 5 different shades and it’s meant to cater to Indian skin tones. Plus, it has an inbuilt SPF 34 PA+++ that helps to protect skin from the UV rays. Pros: Keeps makeup in place for 12 hours, comes in 5 different shades, special mineral formula, contains SPF. Cons: needs a better quality applicator, font of the text on the product could be bigger and clearer to read. Price: Rs 470. Buy it here. From all the powders on this list, you must know that this one has the most variety of shades. The affordable pricing, buildable coverage and sleek packaging make this product a steal to bring home! Pros: paraben free product, not tested on animals, a variety of shades, high-quality sponge. Cons: A bigger size would be better. In less than 500 bucks, you can bring home the cutest pressed powder! 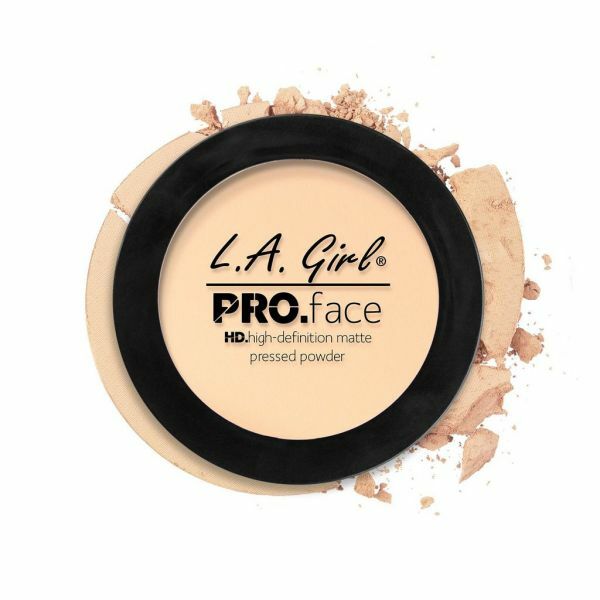 Not only does the powder blend well, but it also provides the skin with a great matte finish. Pros: affordable, great for sensitive skin types. Cons: Needs a better variety of shades. 1. Can I use a compact powder every day? Yes, of course, you can! All that’s required from you is to keep your skin type in mind before purchasing one. Avoid using someone else's compact powder as you could get an infection from it. Always, use your own compact powder and never share it with anyone. 2. 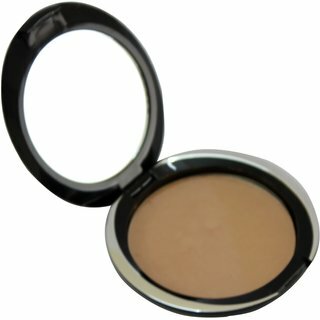 Can a compact powder be used without foundation? Yes! You don’t have to apply foundation if you want to use a compact powder. Just make sure that you moisturise your skin before applying compact powder to prevent your skin from look parched. 3. What’s the shelf life of a compact powder? The shelf life of a compact powder is usually one year from its manufacturing date. 4. Is compact powder and pressed powder the same thing? Yes, they are the same product. 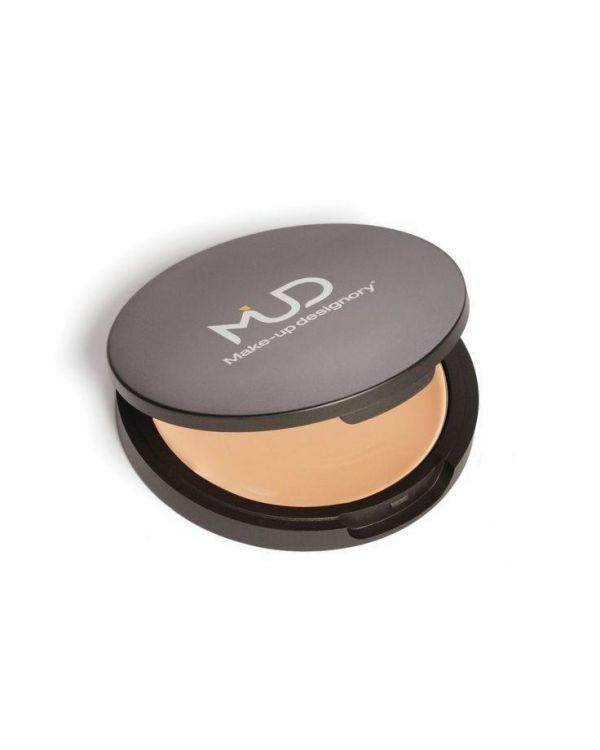 As compared to loose powder, the compact powder is more pigmented and offers better coverage. 5. Is compact powder better than loose powder? It depends on your area of concern. Usually, loose powder is never used as an individual makeup product. Women tend to use it post foundation and it helps to set your makeup. 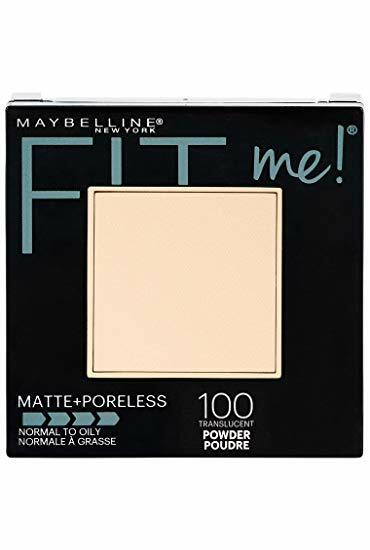 Compact, on the other hand, can be used without the use of foundation first.